What’s better than getting a great deal off the retail price of vacuums and vacuum repairs? Saving even more money! GoVacuum Outlet Discount Center already has the lowest prices anywhere in Northern Virginia and the DC metro area with prices as much as 75 percent off standard retail prices. Now, we’re pleased to offer some special savings on select products and services with our vacuum coupons. You can check out all of our current discounts and vacuum coupons below. The deals and discounts are available exclusively at our vacuum store location in Herndon. With these vacuum coupons, you can enjoy even bigger savings than our already low everyday prices on a huge selection of vacuums and air purifiers. Special In-Store Only Vacuum Coupons: To redeem just print and present coupon at the time of purchase. Need vacuum parts? No problem! The GoVacuum Outlet Discount Center stocks a wide variety of vacuum cleaner parts and accessories for all of the major brands. Our vacuum coupons make keeping your vacuum well maintained more affordable than ever! When you visit our vacuum shop locations in Chantilly and Herndon, be sure check out our ZVAC line of generic vacuum bags and filters. We designed these high-end generic vacuum parts ourselves after hearing from our customers how dissatisfied they were with having to choose between inferior generic sweeper bags and expensive brand-name vacuum bags. Our ZVac vacuum bags and filters are made to truly rival the quality of the original parts, but they’re still priced as low as other generic alternatives on the market. Our deals and discounts help you save even more, and when you buy in bulk, you’ll get an unbelievable deal! You can even shop online at GoVacuum.com. 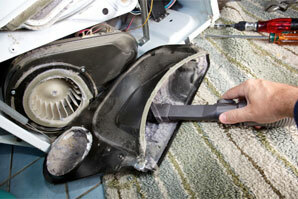 GoVacuum Outlet Discount Center vacuum stores in Chantilly and Herndon are also your best sources for vacuum repairs. 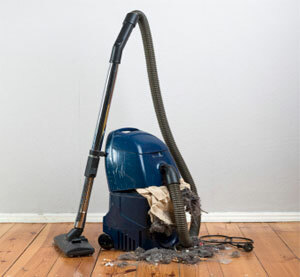 Our experienced, highly trained technicians can quickly diagnose all types of vacuum problems and quickly solve them with their expertise and skills. 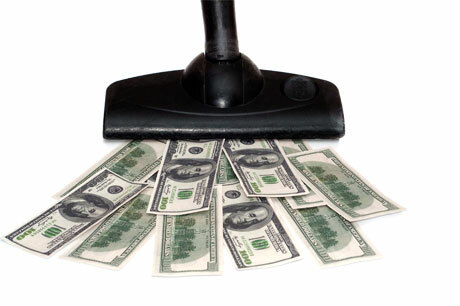 Our vacuum repair coupons allow you to have your sweeper serviced for less, and if necessary, we’ll loan you a vacuum to use until repairs are complete. Questions about our vacuum coupons, cheap vacuum repairs offers and vacuum parts discounts? Don’t hesitate to contact us before you stop into one of our locations. We’ll be glad to answer your questions right over the phone!